Combine dry ice with heated water to produce bubbling water and voluminous flowing fog. Add 2 kg of Dry Ice into a 20 litre container of hot water to create fog for 5 to 10 minutes. As the dry ice cools the water, the volume of Dry Ice fog diminishes. Dry Ice makes fog because of its cold temperature, -78.5°C, immersed in hot water, creates a cloud of true water vapour fog. When the water temperature reaches 10°C or less, the Dry Ice stops producing fog, but will continue to sublimate and bubble. Keep the water heated (using a dedicated dry ice smoke machine supplied by SignFX) to prolong the smoke effect. 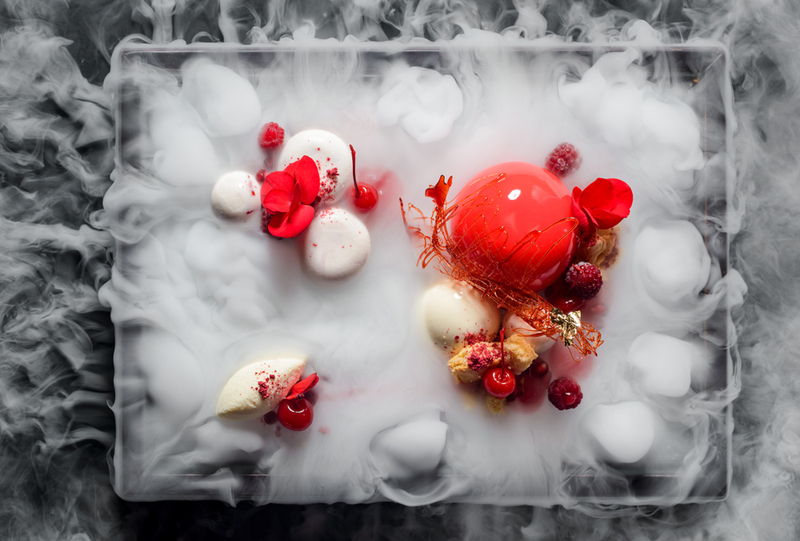 Dry ice is sometimes used in the presentation of food in restaurants. Dry Ice pellets work best as you can add small amounts to serving trays to produce a fog effect around the food dishes. Add the dry ice pellets to warm water to produce the desired fog vapour. Scalp hypothermia involves cooling the scalp with ice packs or cooling caps (cold caps) for a period of time before, during, and after each chemotherapy (chemo) treatment to try to prevent or reduce hair loss. Supercooled caps (-20 F to -30F) are worn before, during and after the chemotherapy treatment. This causes the blood vessels beneath the scalp to narrow, reducing the amount of toxic chemical that reach the hair follicles. 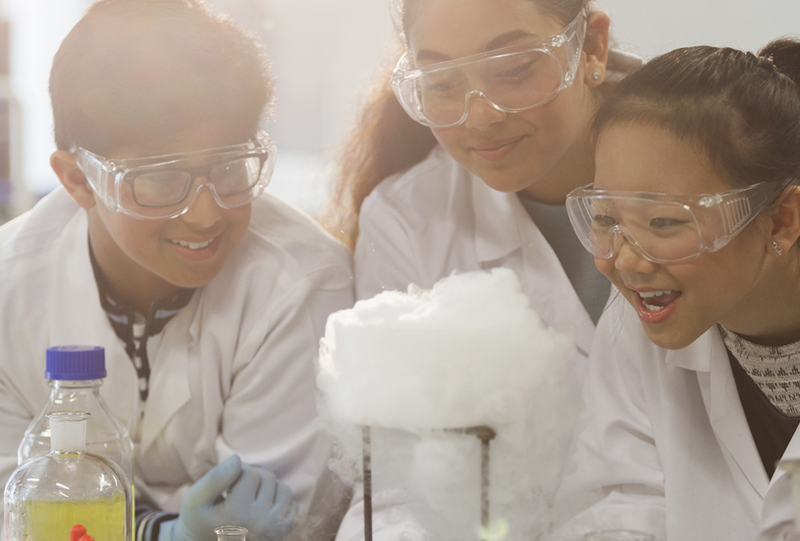 Polar Ice offers educational discounts to schools purchasing dry ice to conduct science experiments in the classroom. Speak to our team today to order your dry ice. Whether you are organising an event in a school, library or college, there are plenty of resources to help you to get the most out of your event. Use Dry Ice for real life smoke effects, without the smells or dangers of smoke in your classroom. To download posters, science week logos and more. Check out the Science Week website for more details. When travelling or camping you can use dry ice to keep goods frozen in your ice chest. Depending on the size of the ice chest you will need between 5 and 10 kgs of dry ice. In the event of a power cut, place dry ice in your refrigerator and freezer. Food will stay frozen between 3 and 6 hours in a standard fridge freezer and up to twelve hours for a chest freezer. The less empty air space in the freezer the better. You can purchase 3.5kg, 8kg, and 10kg quantities of dry ice online at dryice.ie. ChilliSticks are dry ice swizzle sticks that safely hold a dry ice pellet in your drink and prevent accidental ingestion of dry ice. 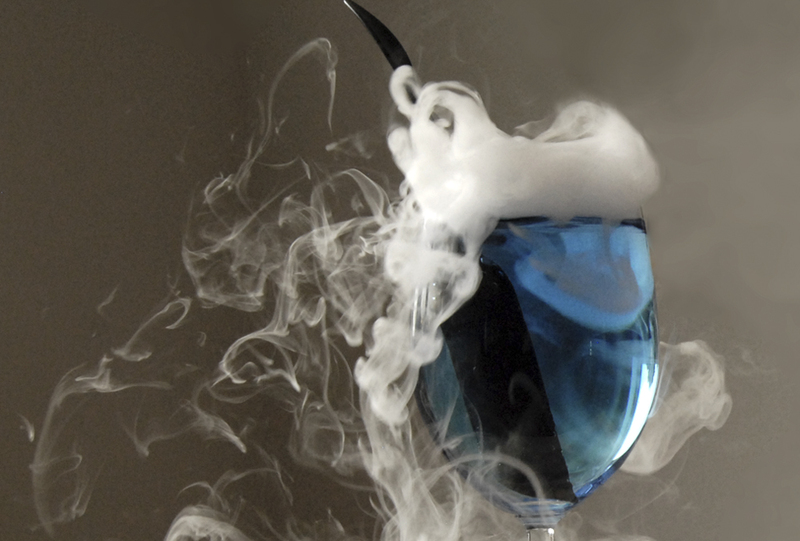 Dry Ice can be used to create a unique and fun fog effect in different types of beverages, including cocktails, juices, and carbonated drinks. To serve around 50 drinks you need half a kg of dry ice pellets. You can preload the ChilliSticks and then store them in the remaining dry ice pellets ready for use. 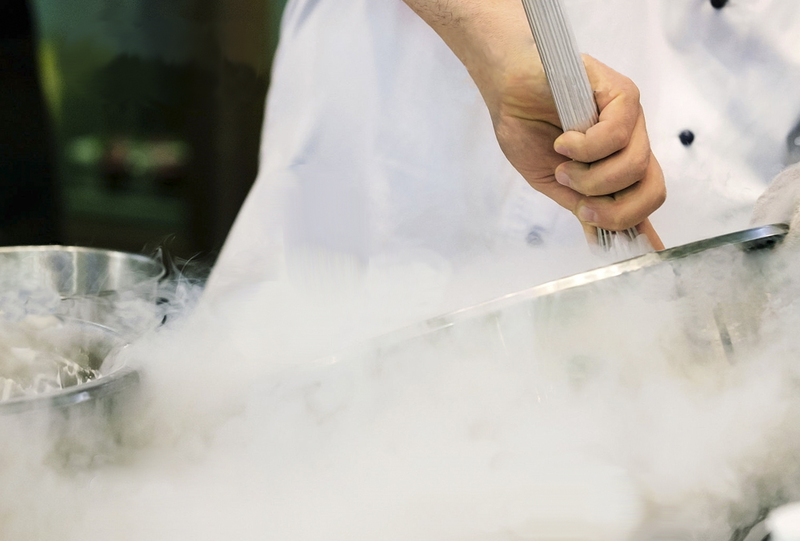 It’s important to remember that smaller quantities of dry ice sublimate faster, and to order your dry ice and ChilliSticks to be delivered as close as possible to the time of use. A recipe to create ice-cream using dry ice can be found here. Crush the dry ice and gradually add it into the ice-cream ingredients. The consistency of the mixture will begin to harden. Continue adding dry ice until you have reached the desired consistency. The ice-cream may freeze quite hard so wait until the ice-cream is soft enough to scoop before serving. Note that carbon dioxide bubbles can become trapped in the mixture, and this results in a carbonated ice-cream. A green burial uses dry ice or gel packs to preserve the human body before a funeral. It is a natural, less toxic, and effective way to cool the body. The body is then typically buried in a bio-degradable casket. Green Burials are more environmentally friendly as they do not use toxic chemicals for embalming.